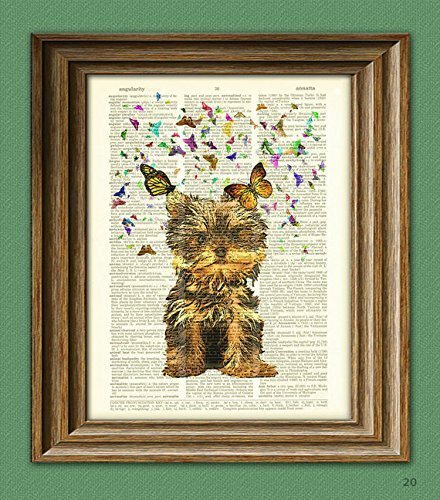 Meet Aspen the Yorkie, her portrait picture appears below. 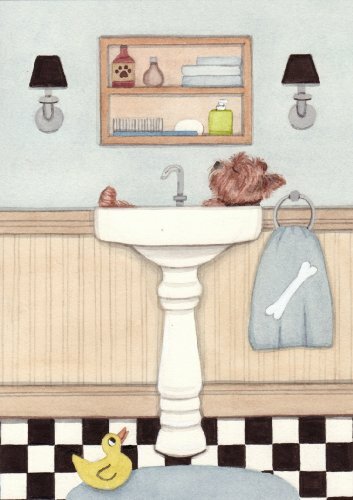 If you visit a Yorkie site or blog and see this picture, you know it's by us...unless of course someone thinks her picture is cute enough to borrow, but we hope that doesn't happen because it's copyrighted. Dear Aspen went over the Rainbow Bridge in August of 2013, and though we miss her terribly, this page and some of her other places on the web remain and will always remain in her honor. We'll share more about Aspen with more pictures on this page, it will be a bitter-sweet journey, but will bring back many delightful memories. 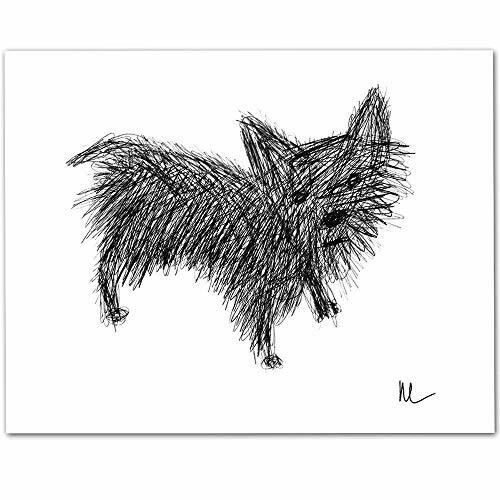 At my side as I type is a new rescue, not a Yorkie but a Pomeranian that needed a home. 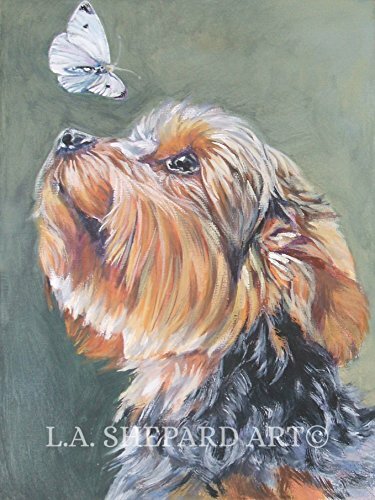 We hope you enjoy the selection of Yorkshire Terrier photo pictures and art that we have added here. 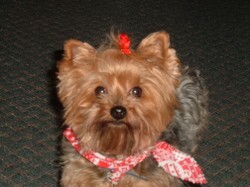 When Aspen was born, she was a tiny little yorkshire terrier puppy. She was small enough to fit comfortably into a hot dog bun. This picture was taken an hour after she was born in March of 1999. Aspen was born next door, and had a brother who moved to Florida. There were one or 2 more puppies born, but in spite of our best efforts, including the man whose hand you see here who is a professional breeder, they did not make it. This is the only newborn Yorkie puppy picture that I have, taken before there were digital cameras. I am adding a series of photographs below from her birth. Aspen at 12 weeks - ears up! This picture of cute black bear cubs was taken one recent summer as they followed their Mom through our yard. I took this picture out the front door. But it's not these bears that Aspen chased, Momma Bear would probably not let her get away with that. It was a mid-sized bear that was at the bird feeder at the side of the house. My son took Aspen out and didn't know the bear was there, but Aspen spotted it and took off after it barking her yappiest yorkie bark, and up the tree it went, staying there until my son took Aspen in. "Is it time to get up?" Should Dogs Sleep in Bed? Aspen sometimes sleeps in bed with us, between our pillows, not like you see her in the picture above. 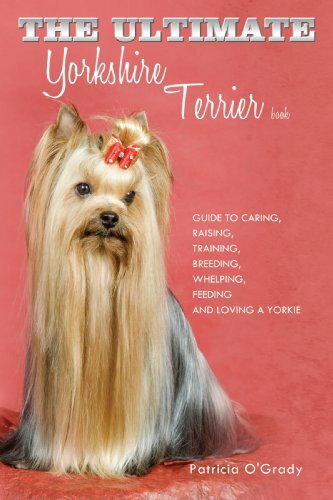 What a beautiful Yorkie on the cover! Amazing work using a program like Paint? happynutritionist, Thank you for such an endearing share. That's quite an adventure about who was scared of whom in the yard adventures of a Yorkie outnumbered by foraging bears! It's nice that it has a happy ending, with nobody getting hurt and predatory bears opting for non-aggression. Did Aspen and her brother see and recognize one another after he moved with your brother to Florida? Is Aspen's brother still alive? What a cutie and yes, I sleep with my two dogs. So cute! 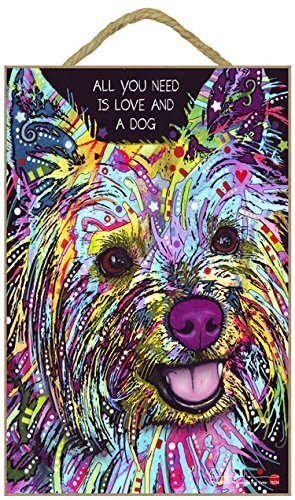 I love yorkies, they are beautiful! And that name, Aspen, is so dang adorable too! I wanted a small dog for the longest time but my husband wanted a hunting buddy so we had to go with a large hunting dog. Sigh - maybe someday. Thanks aj, we're lucky to have her, too. Thanks for being a fan. 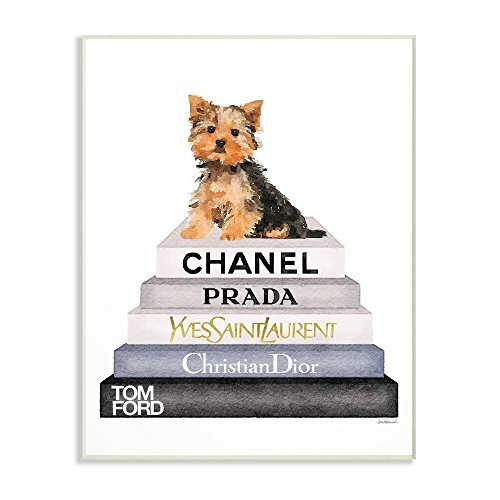 Sweet and adorable Yorkie you have and it's amazing you've had her for so may years now. She is lucky to have you guys in her life! @ohcaroline they are inclined to be sweet, it's only if they aren't raised right that there's trouble...and Aspen has never even given biting or nipping or snarling a thought! Ever...in 12 years. @lou 16 - how nice of you to share this page! I loved your pictures. Right now we have chihuahuas. A friend is living with us that has schnauzers. 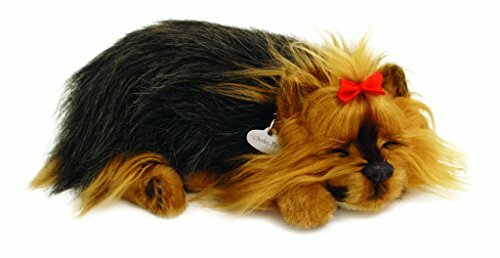 I think Yorkies are so cute and yours is adorable. I know what you mean about them being fearless. I watched my chihuahuas chase a pitbull down the road. Yorkies are so adorable. They seem to have a very sweet nature. If I ever get another dog, it probably would be a yorkie. Yours is so darned cute!